In early December of 2015, Sally Ananya Surangpimol and Alan Haig-Brown spent several days in Wakayama Prefecture to learn about the coastal communities from which many early Japanese-Canadians immigrated to Steveston. With the help of members of Richmond’s sister city of Wakayama, they were able to visit the village of Mio and its Canadian Museum as well as fishing ports along the coast. 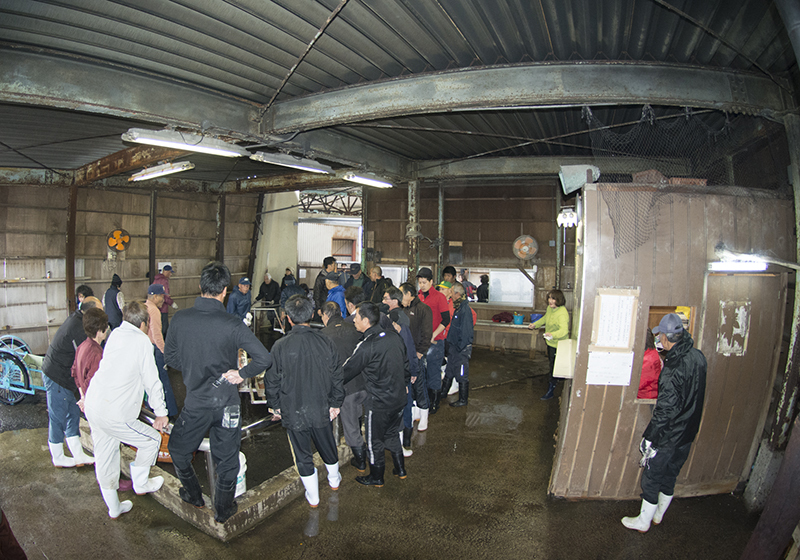 They talked to fishermen, observed cooperatives in Shirahama, Mio and the fish auction at Arida. The couple will present photographs and accounts of their travels in a special presentation at the Cannery on Thursday June 16th from 6:30 to 8 pm, inside the Boiler House Theatre. Everyone is invited to attend; admission is free. For more information about Sally and Alan’s research, you can read an article about their trip here.